An online remix of retail sales is not only inevitable, but it's transforming markets at a faster pace each year. For established retailers to succeed in the future, they must not only solidify their online presence, but also reimagine themselves as a differentiated Internet shopping destination. Additionally, opportunities abound for niche online retailers such as Blue Apron (which delivers fresh meal ingredients with recipes), NatureBox (healthy snacks) and Dollar Shave Club (razors and shaving supplies). Many of these start-ups have turned to subscription-based services, which cut down on the need for consumers to actively place orders, and build a steady stream of income with each new customer. Retailers must also take advantage of the “digital tie-in” to in-store purchases. Shoppers are not only using the Internet for shopping online, but using mobile technology in-store to make and confirm purchase choices. Pet product retailers have long been establishing an online presence, and although some hurdles remain, Internet sales of pet products continue to progress (particularly in pet medications), accounting for approximately 4% of the $44 billion U.S. market for pet products in 2014. Packaged Facts projects that Internet sales of pet products will grow between 10% and 15% annually through 2018, significantly outpacing overall pet product retail sales growth of 5%. Even so, to keep up with changing consumer shopping habits and with market disruptors, such as Amazon, pet product retailers must step up their initiatives to frame the digital future. The success of the Internet in the pet arena stems in part from the tendency of pet owners to be Internet friendly as shoppers and purchasers generally. In addition, the Internet is especially well-suited to “info-centric” pet products, including premium and niche items, offering a myriad of opportunities to communicate detailed product information via websites, email, chat groups, blogs, social networking, and online advertising. The Internet is increasingly likely to play a role in pets’ lives from the very beginning: Packaged Facts April/May 2014 survey data show that 16% of dog owners used an online pet finding service for their most recent dog, as did 10% of cat owners for their most recently acquired cat. These data also show 41% of pet product buyers agreeing they use the Internet to find information about pet care services, and 39% agreeing that they use the Internet to help choose which pet foods to buy. 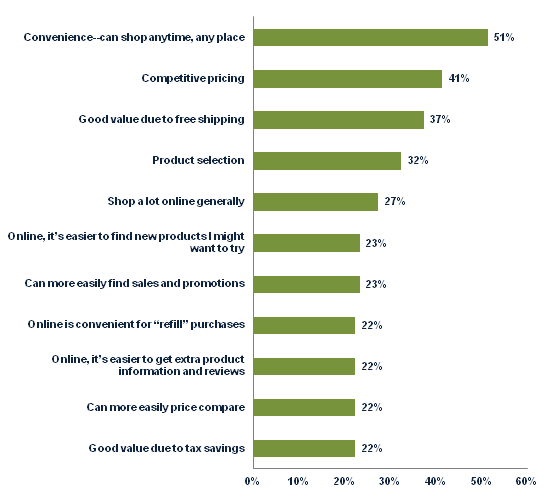 One of the main reasons pet owners gravitate to online shopping is convenience, which is cited by 51% of pet owners who shop online as a reason for doing so, compared with 41% for competitive pricing and 37% for free shipping. Product selection, frequency of online purchasing in general, and the ease of finding new products and temporary sales are other common reasons for buying pet products online. Note: Answers do not add up to 100% due to multiple responses. This convenience factor is likely to transform the retailing of bulky, heavy, and steadily-used product segments such as dog food, cat food, and cat litter—the products at the core of the pet market. According to Packaged Facts’ survey data, 30% of dog owners and 35% of cat owners agree that they like the idea of home delivery for pet food. Whether with or without exotic flourishes, such as drones or 3D printing, pet food retailing is going digital. 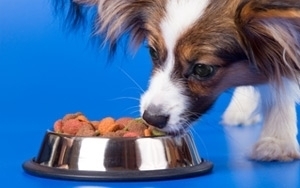 For more information on the pet food industry, check out Packaged Facts' full report.